UFO SIGHTINGS DAILY: Kim Wilde thought UFO seen in her garden was Michael Jackson coming back to HAUNT her, March 2016, UFO Sighting News. 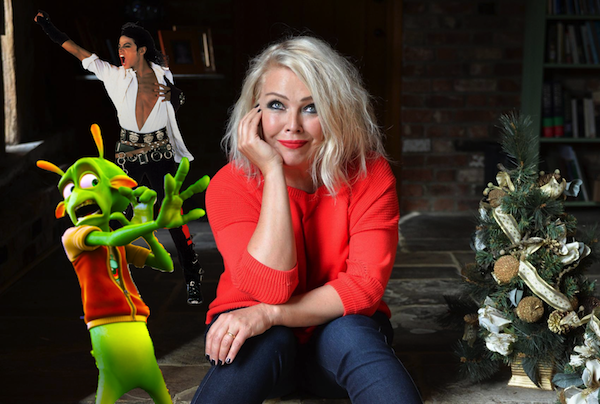 Kim Wilde thought UFO seen in her garden was Michael Jackson coming back to HAUNT her, March 2016, UFO Sighting News. Its really true, when she said she saw lights over MJs home during his death. I remember reporting a green glowing light that someone witnesses moving around his estate in the air at night. Why would aliens be interested in MJ? Really? There are just so many reasons. He is awesome on so many levels, that his music has probably gone across the universe, carried from aliens here on Earth to share with others out there. The 55-year-old Kids in America singer, who has sold more than ten million albums worldwide, said she watched the 'static and silent' lights on the UFO in the summer of 2009 in her Hertfordshire garden. The singer, now a landscape gardener, said she first thought the alien UFO was Michael Jackson "coming to haunt her". "It was on a Friday night and I saw two lights in the sky that were static and silent." Kim Wilde told Event magazine: "I stood watching them above my garden from about 11pm till one in the morning. "It had a profound effect on me. It makes me think that somebody is looking after us." She said previously that the UFO was "about 20 times the size of an aeroplane. "I believe it's similar to when someone says they've seen God."